It’s been an unbeatable summer here in the Pacific Northwest. Hardly a cloud in sight and a holiday weekend on the horizon. Time for the next installment of our summer bucket list series. This time, we’re turning to the experts at West Bay Paddleboards to enlighten us on little-known and locally-loved swimming spots and waterways. Thanks to a variety of freshwater lakes and plenty of summer sunshine, a day at the lake is a popular seasonal activity for locals. Puget Sound is often the star of any visitor’s itinerary thanks to waves, sand and culinary delights like clams and oysters, but those in-the-know will also delight in the many fresh water lakes that dot Thurston County’s terrain. Some popular spots include a swim in the Tenino Quarry Pool or, other locals like to fish, swim or kayak the day away at Offut Lake Resort. St. Clair Lake is a spring fed, freshwater lake located off Yelm Highway, ideal for trout fishing and paddling. Chris recommends entering in at the Eastern launch ramp for a six-mile round trip paddle. Ideal for those with their own boards and kayaks, or groups of five or more can contact West Bay Paddleboards to arrange for board rentals on-site. Butler Cove offers an accessible paddle and you can spot a variety of wildlife – including seals, seal pups and herons, as well as deer and coyote from the shore. For those just learning to kayak, head across Budd Bay to Priest Point Park and Ellis Cove. Less than a one-mile paddle from the rental shop (check out the seals on the log raft along the way), paddlers can peek into the sea life below at hide tide. Go early to observe birds and deer. Gull Harbor provides a peaceful, serene setting. It&apos;s is a fun destination to explore and spend the day exploring, before paddling back to shore – Chris reports that last year three deer were seen swimming across the harbor. 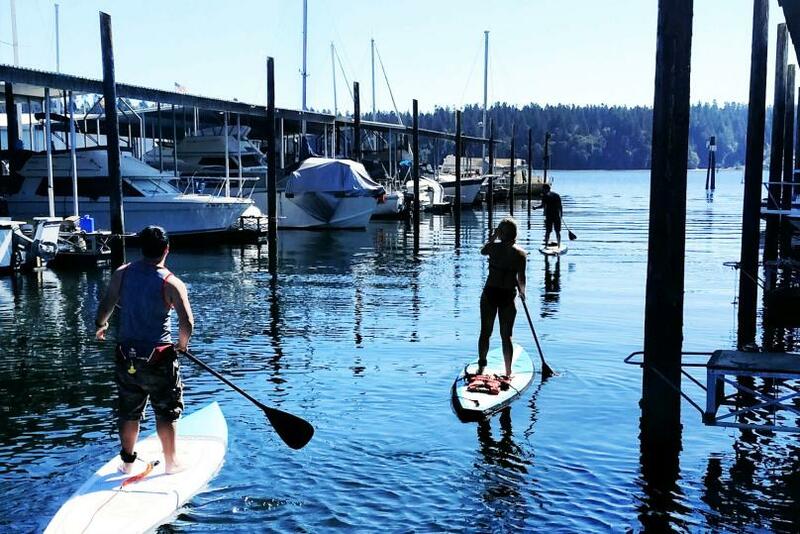 With plenty of spots to paddle the day away, you&apos;ll be sure to find a fun day on the water in Washington State&apos;s capitol region. Spend the weekend and find dining, lodging, events, festivals and entertainment ideas at experienceolympia.com. Make sure to share your adventures with us by tagging social posts #DecidedlyDifferent and connect with us on Facebook, Twitter (@Experience_Oly) and Instagram (@ExperienceOly).